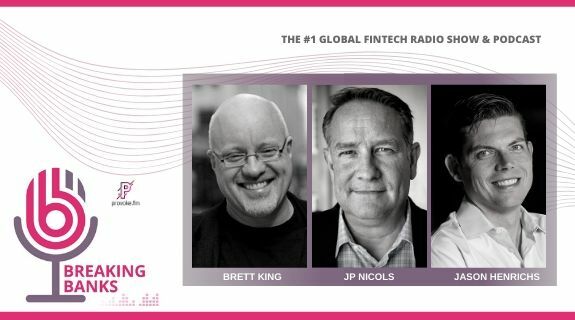 Brett King is again joined by Chris Skinner to host our fourth installment of our special Breaking Down Blockchain series. They are joined by Bart Stephens, Managing Partner of Blockchain Capital, George Samman, writer of sammantics.com and blockchain consultant, and Wayne Vaughan, CEO of Tierion to discuss cool applications and the pushback on the blockchain. Also joined by Joe Ziemer, Director of Communications and Policy at Betterment with news about their partnership with Uber. Director of Communications and Policy at Betterment.